Abstract: Norwegian terrorist Anders Behring Breivik describes himself as a member of a neomedieval, underground paramilitary group known as the Knights Templar. This essay addresses Breivik’s manifesto’s use of the medieval as a vehicle for understanding the continued importance of the Middle Ages to the formation of modern political ideas. 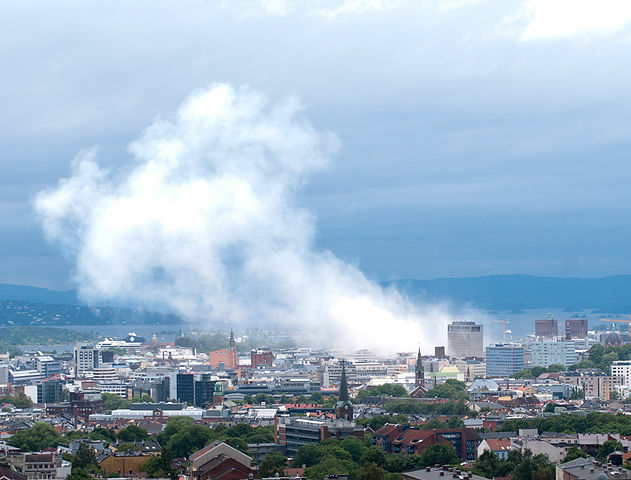 Introduction: On 22 July 2011, at 3:35 p.m., Anders Behring Breivik set off a car bomb in front of the office of Prime Minister Jens Stoltenberg and other government buildings in Oslo. The explosion killed eight and wounded over 200 people. Less than two hours later, at a summer camp on the island of Utøya run by the Workers’ Youth League, the youth division of the ruling Norwegian Labor Party, Breivik, wearing a homemade police uniform, opened fire, killing 69 and wounding 110, mostly teenagers. It was the deadliest attack in Norway since the Second World War. His trial began on 16 April 2012 and ended on 22 June of the same year. It has been widely recognized by the international media that the fundamental question of his trial was not whether the 33-year-old was responsible for murdering 77 people in Norway on 22 July, but whether a mass murderer can be considered mentally sound and held criminally liable for his actions. If he was found to be sane, Breivik nominally faced a prison term of 21 years, which ultimately could be extended to life in prison; if insane, Breivik would be committed to a lifetime of psychiatric care. Though one might have expected the defense to argue for the latter, Breivik struggled throughout the trial to prove his sanity, so that his ideas would not be written off as the mere delusions of a psychopathic terrorist. The only official supporters of his insanity were two court-appointed psychiatrists from the Norwegian Board of Forensic Psychiatry, whose diagnosis was discarded only two days into the trial, when it became clear that Breivik himself was arguing for his own sanity and family members of the victims wanted to see him in prison rather than in a mental institution. By the end of the trial, the prosecution was again calling for Breivik to be declared insane, perhaps to thwart Breivik’s own desire for his ideas to be taken seriously.